In the western cove of the Laconian Gulf, Gythio stretches along the seaside, situated below the green landscape of the surrounding hills. A mainland town with island characteristics, a harbor of Laconia for centuries, with traditional, two and three-storey neoclassical buildings, famous taverns, the town is also a modern tourist destination with long beaches and many attractions. On its sandy beaches, the Caretta-caretta turtle comes to nest. Gythio is located in the western cove of the Laconian Gulf at the foot of the low Mount Koumaros, 46 km south of Sparta. It is also connected with eastern Laconia by a coastal road via the village of Skala. From Gythio. the road continues west to Areopoli and Messa Mani. The ferry linking Piraeus with the Southern Peloponnese and western Crete connects Gythio with Neapoli in the eastern peninsula of Laconia, the islands of Kythera and Antikythera and Kastelli on Crete. There is also a connection with the local ferry from Neapoli and Kythera. The harbor provides facilities, water and fuel for yachts; also repairs. Gythio is the center of a well- organized tourist destination, which stretches east and west of the town. In town, there are hotels, apartments and rooms to let, and good food. 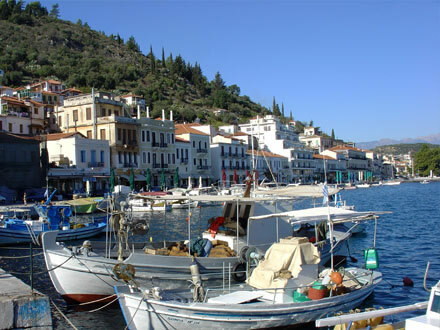 Especially around the harbor and along the seaside, there are fish-taverns, restaurants, small stores for ouzo and meze, and fast food; also cafes and bars. There are all services; in the city market and stores from the port to the town. There are large hotels and villas, apartments and rooms to rent. The large, well- organized, camping sites on the beaches are well known and extends from Kambos of Mavrovouni to Vathy and Ageranos. There are shops throughout along the coast from Gythio to Vathy. The Laconian Gulf offers ideal conditions for windsurfing and other water sports.The Laconian Gulf offers ideal conditions for windsurfing and other water sports. According to one version, the name Gýtheion Gýtheion originates from the combination of the words in antiquity γή θεών (land of gods). According to mythology, the founders of the city were Hercules and Apollo. The long history of Gythio begins in the prehistoric period. The first inhabitants had commercial relations with the Phoenicians who exploited the purple shells of the beaches of Laconia, with their commercial center on the island Kranai, joined today with the coast of the town. The port and naval station of ancient Sparta, Gythio was destroyed in 455 BC by the Athenians, but was again fortified by the Spartans and retained its power and economic importance. During the Roman era, it was an important export port and major commercial and cultural center of the League of Free Laconians, founded by the cities of Laconia and enjoying autonomy from the Romans. It had a remarkable crafts industry, especially the sought-after purple fabrics, as well as red marble mines. 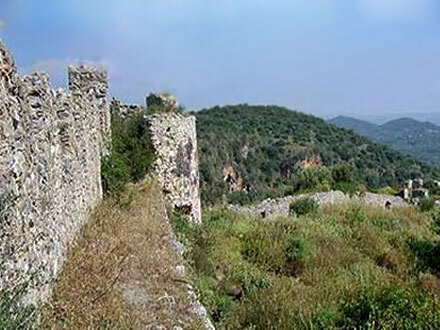 During the Ottoman era, Gythio was the main settlement of northeastern Mani and named Marathonissi. In the 18th century, the town was under the family Grigoraki. Tzannetbey Grigorakis was the greatest bey of Mani. During the sixteen years of his administration, Mani flourished. Gythio was restored and after 1821 took again its ancient name. Gythio offers a wonderful natural environment. A walk along the seaside offers the beauty of the sea and a magnificent view of the Laconian Gulf. On the east side there are interesting buildings. A nice walk is along the harbor and coastal road, the center of life. 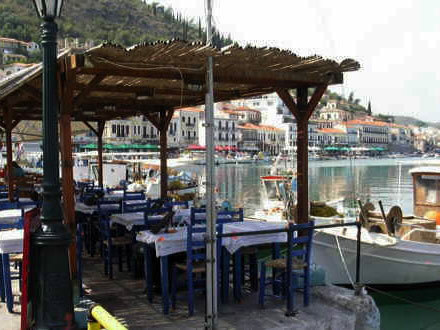 Fish-taverns, restaurants and ouzo-bars; fresh fish, grilled octopus and seafood; there are also cafes, bars and fast food outlets. The small streets lead from the coastal road to the interior of the city, in the old quarters with places to shop. At the entrance to Gythio, on the north side, was the ancient city. The remains of the citadel are on the hill. At the foot of the hill there is the ancient Roman theater, as well as other remains. The archaeological collection is housed in the neoclassical Town Hall. Most important exhibits are archaic inscriptions on stones, pottery and Roman statues. At the far end of the harbor, on the southern edge of town, is the island of Kranai artificially joined to the coast. Kranai was the refuge of Paris and Helen the night before their escape to Troy. According to myth, Paris forgot his helmet (kranos) there. So the island took its name. On Kranai there is the Tzannetaki Tower, a tower and dwelling of the old family Tzannetaki – Grigoraki, built in 1829. It houses the Historical Ethnological Museum of Mani. There is also the chapel of St. Peter. Also impressive is the beautiful octagonal lighthouse at a height of 22 meters, built in 1873 with marble from Cape Taenaro. Also ruins of German artillery from the Second World War and an underpass. On the outskirts of Kranai the coastal road begins to climb. On one side, there is the sea and on the other two-and three-storey neoclassical houses. It is estimated that the neoclassical buildings in Gythio are about one hundred. 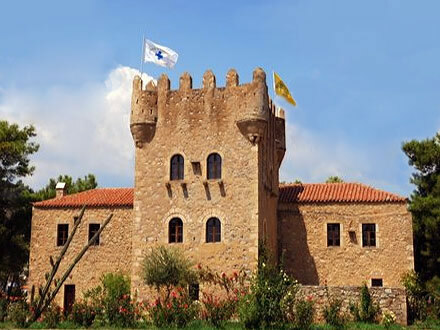 Twelve kilometers southwest of Gythio on the road to Areopolis, at the intersection of Skoutari, the imposing castle of Passava crowns a hilltop. It was built in this strategic position in 1254 by Baron Jean de Neuilly. The name comes from the French military phrase «passe avant» which means "pass first, go ahead." Despite the devastation, there are still the ramparts. At the foot of the hill, excavations have brought to light the location of the Homeric city of Las, as well as findings from the Classical and Hellenistic periods. Interesting to visit are the villages northwest of Gythio. Aegies, where the ancient city of the same name was located. Platanos, the old church of Aghios Demetrios. Konakia, the monastery of Aghios Georgios from the 11th century and towers. In the town of Gythio there is a public beach. North of Gythio, there are long sandy beaches at Selinitsa and Valtaki. beaches south of Gythio are also famous. 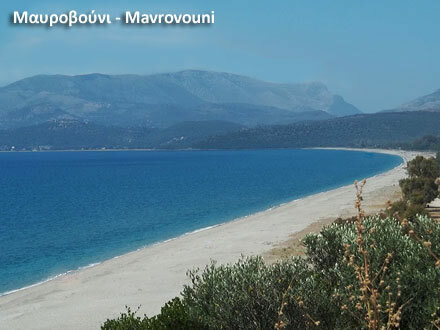 The main road leads to Mavrovouni, where a large open bay with long sandy beaches offers excellent conditions for windsurfing and other water sports. In Mavrovouni there is the sandy beach preferred Caretta-Caretta turtles; they always come to the same beach to lay their eggs. 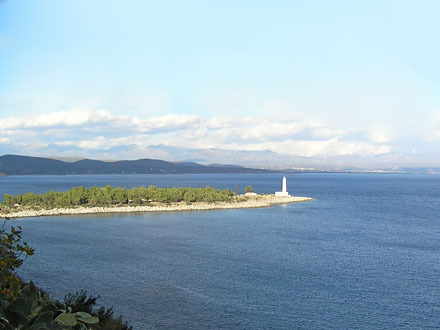 IAlong the coastal area around Mavrovouni there are large camping sites and all other accommodation facilities. The road turns slightly inland and then follows a southwest route. One fork leads left to Vathy. 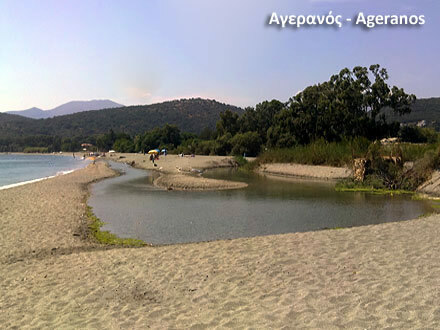 The road leads back to the coast, where at Ageranos there are wonderful beaches with other great camping sites. There is another bay to the south; the picturesque bay of Skoutari, offering safe anchorage. The opening at its entrance is 1.5 nm, and the distance to the coast 2 nm. At the cove is there is the village of Skoutaeri with s beautiful beach. East, on the north shore of the bay is the village of Kalyvia, and most eastern Paganea facing the Laconian Gulf. 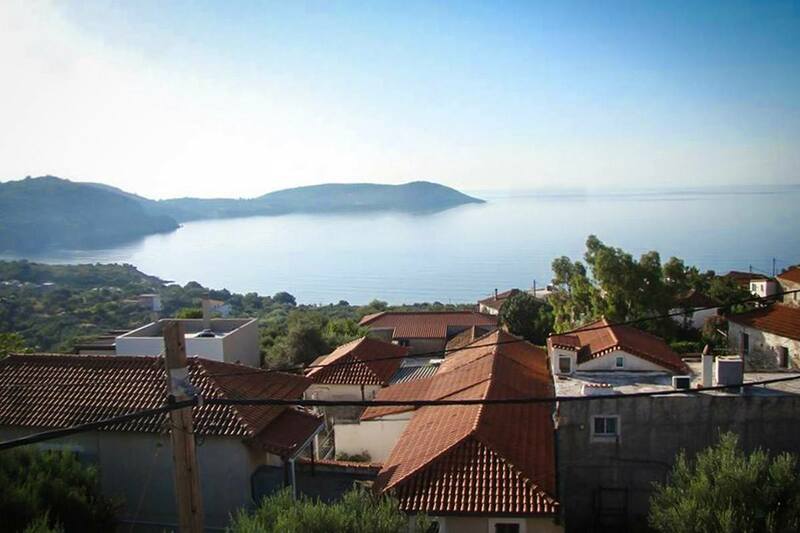 From Skoutari, to the south is the village of Kotronas with a large bay and continue further south to make the tour of the Mani peninsula starting from the east coast, or return to the main road to reach Areopoli, the main village of Messa Mani and start the round from the west coast.